Kristen Boyd serves as the Coordinator of Student Recruitment at Baylor University’s George W. Truett Theological Seminary. She graduated from Baylor in 2010 with a bachelor’s degree in Public Relations and a double minor in Studio Art and Child and Family Studies. Kristen received a Master of Social Work degree from the Diana R. Garland School of Social Work at Baylor and a Master of Divinity degree from Truett Seminary in 2014. 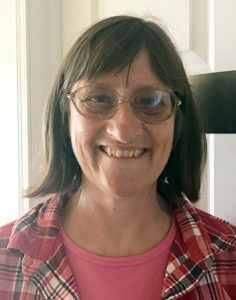 During her social work studies she mentored high school students with learning disabilities and worked with at-risk children through Communities in Schools. Before beginning at Truett, Kristen served as the Community Ministry Associate at First Baptist Church in Knoxville, TN. In addition to her work at Truett and with the Good Neighbor House, Kristen mentors two 4th grade girls every week at Provident Heights Elementary and serves as an advisor for the Baylor Religious Hour Choir and Delta Delta Delta Panhellenic sorority. Kristen married fellow seminary graduate, Shawn Eric Boyd, in June of 2015. Kristen and Shawn enjoy investing in their community and love life in Waco with their two dogs, Briley and Brazos, and a baby on the way! Barbara Bridgewater has been volunteering with Good Neighbor since fall of 2015 and has been the Board President since July 2016. She works as a part-time case manager for Compassion Ministries, a transitional family shelter in Waco, and also teaches English as a Second Language to adults through McLennan Community College. She came to Compassion from Ohio where she was working for a transitional program and emergency shelter for 6 years. Barbara has a Bachelor’s degree in Elementary Education from Miami of Ohio University and a Master’s Degree in Education, specializing in Bilingual Education from Ohio University. Barbara, who has two girls, is married to Phillip Bridgewater, a full-time employee of Habitat for Humanity. The whole family is very involved in Hope Fellowship, a neighborhood church ministry in Waco, as well as with Habitat and Compassion. 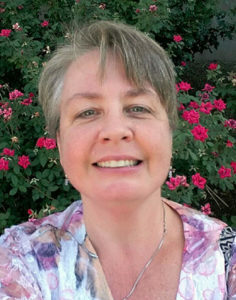 Laura Caruthers is a licensed clinical social worker and works at McClennan Community College, as well as Tarleton School of Social Work. She says, “My background tells me that people in communities are better together…living life and sharing joy on a regular basis.” She leads the Crafternoon program at Good Neighbor – crafting for a cause. 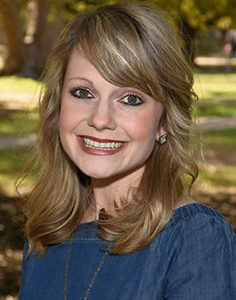 Theresa Hagan has worked as an Office Manager for Baylor since 2004 and is currently enrolled at Baylor within the Baylor Interdisciplinary Core (B.I.C.) program pursuing her BBA, Accounting degree. During those 10 years, Theresa earned an AAS degree in Computer Networking (with high honors) from MCC. One of 15 children, Theresa’s giving spirit was cultivated by her mother, Florence, who devoted much of her own “free time” by volunteering within her church and community. In her honor, Theresa and her family members dedicate a week each year to refurbishing/restoring homes for families in need in their hometown of New Hampton, IA, as part of “Project Flo.” Theresa shares her Waco home with husband Michael. She has three sons, Jack Williams and twin brothers, Steven Williams and Matthew Williams as well as step-daughter Brittany Hagan and step-son Paul Hagan. Theresa and Michael enjoy staying active by hiking, boating, camping and exploring out-of-the-way places. Rory Jones is a Central Texas native who grew up in Temple and moved to Waco three years ago to attend Truett. 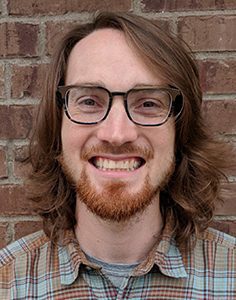 He and his wife, Elise, got connected in the neighborhood through Rory’s summer employment at Mission Waco with the Kids’ Program and then through their association as members of Calvary Baptist Church. When he and his wife, who is a licensed social worker, decided to put down roots, it just made sense to settle in North Waco, where they had made so many valuable connections. Rory loves board games, outdoor activities, and sending GIFs to his friends. He hopes his time as a member of the board and maintenance cluster increases his understanding of the many things that come together to create community. 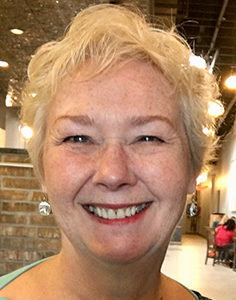 Vicki Kabat is retired from a career in communications and public relations and now works part-time as an executive assistant at Meals on Wheels Waco. 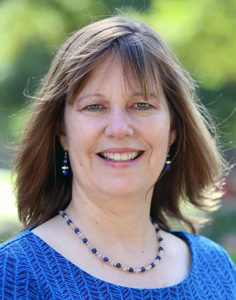 She was the founding editor of the award-winning publication Baylor Magazine, an alumni magazine of Baylor University. In retirement she has earned certifications in “Transforming Communities: Contemplative Prayer Practices” from Shalem Institute for Spiritual Transformation in Washington, D.C., and in Spiritual Direction from the Diocese of Austin. Today, she serves as a Spiritual Director for individuals and leads classes and retreats in contemplative practices. She and husband, Bruce, have three sons and six grandchildren. They moved back into North Waco in 2016 and now live 4 blocks from the Good Neighbor House. 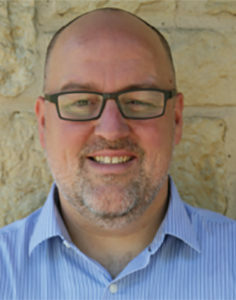 Craig Nash is regional manager for Child Hunger Outreach at Baylor University’s Texas Hunger Initiative. He lives near Good Neighbor House. His passions include church, Estonia, the Enneagram and the music of Jason Isbell. Dr. Laine Scales moved to Waco in 1999 to begin work at Baylor University as a social work professor. Laine moved to Sanger Heights in 2003, renovating an old home on Colcord Avenue. She has been engaged in Waco as a member of Hope Fellowship, the Community Race Relations Council, and Prosper Waco Education Steering Committee. At Baylor, Laine moved into university leadership and now serves as Associate Dean of Baylor’s Graduate School and Professor of Higher Education. 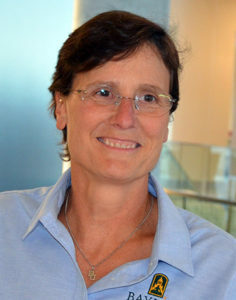 In 2016 she was awarded the Master Teacher designation, Baylor’s most prestigious teaching award. Laine publishes books and articles on the history of women in higher education and social work. Inspired by this legacy, creating a settlement house that brings together neighborhoods and universities for community improvement has been an important goal for her, so in 2012 she gathered a group of advisors to create what would eventually become Good Neighbor Settlement House and Worship Center, opened in 2016.